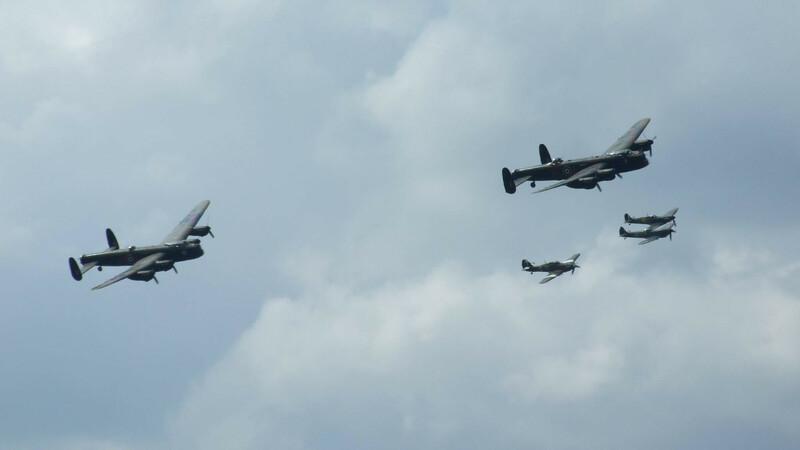 Goodwood Revival, held every September at the world famous motor racing circuit in West Sussex, is widely regarded as the finest historic motor-vehicle race meeting anywhere. 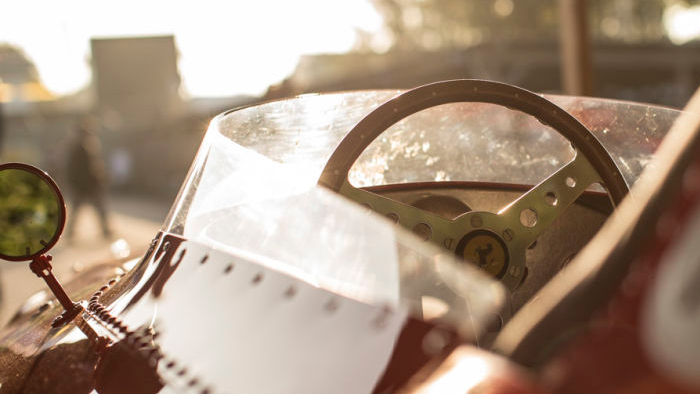 Beautiful classic cars and motorcycles are put through their paces by legends of yesteryear and personalities of today. All the glamour and excitement of a golden era is faithfully recreated over the course of a three day weekend. 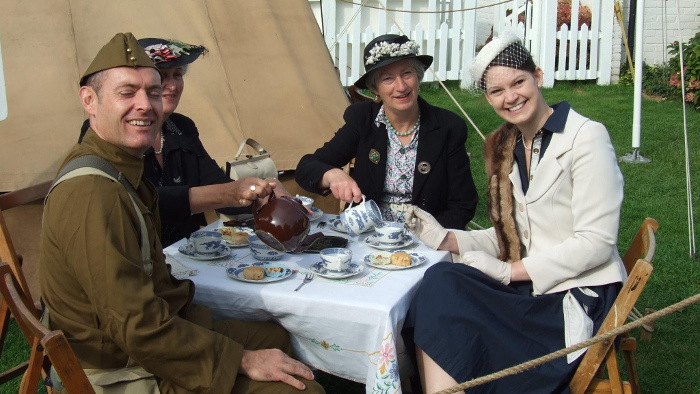 Add an unbeatable touch of class to your Revival visit by travelling to the event in one of our lovingly restored vintage buses or coaches - vehicles which exactly fit the period Revival recreates. 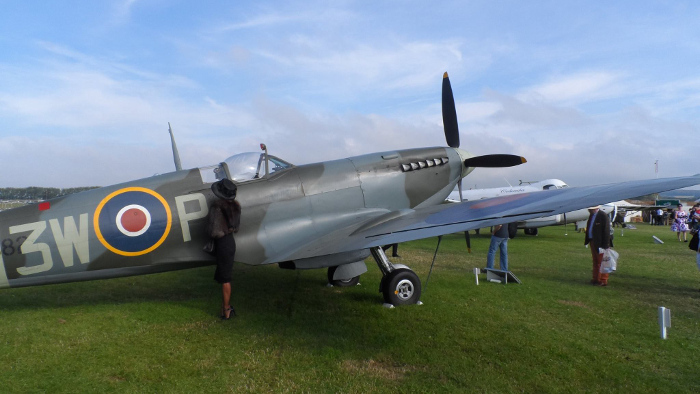 Your day at Goodwood Revival starts with one of our lovely vehicles collecting you and your guests from an address or hotel locally within West Sussex, Surrey, or East Hampshire. If coming from farther afield, a rendezvous at Chichester or Arundel railway station can be arranged. 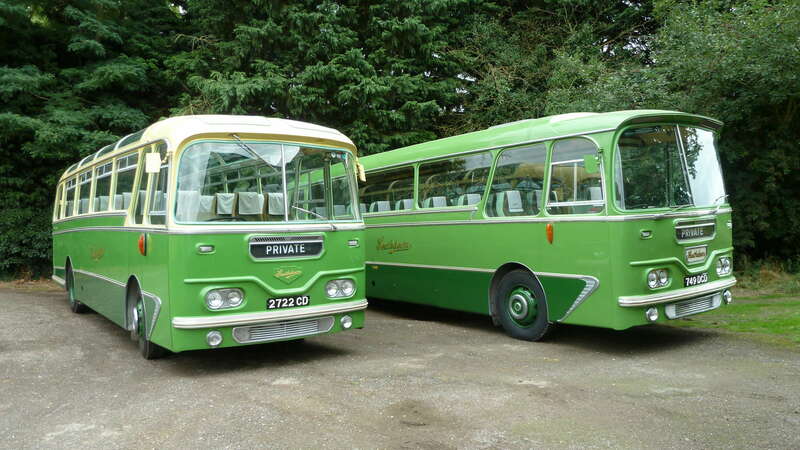 Imagine your delight: the glistening front of the vintage 1960s bus or coach matched only by the beautifully restored interior. 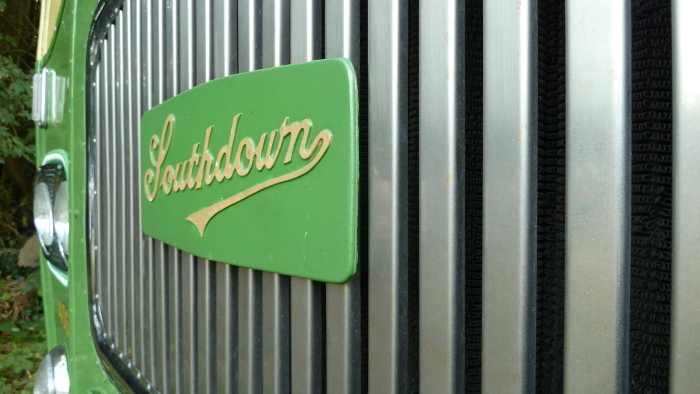 Once at Goodwood, all of our vehicles are old enough to access the vintage vehicle terminus, from where a short stroll takes you right into the heart of the circuit. 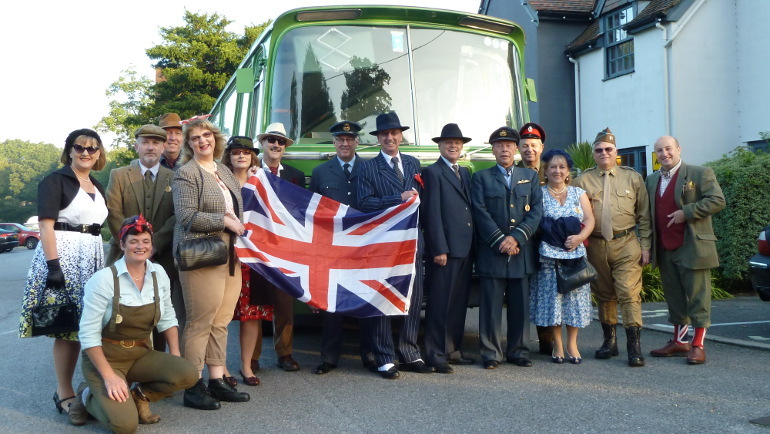 Should you prefer, the bus can also be made available within a nearby vintage vehicle enclosure for use as an exclusive catered reception area or meeting point - particularly useful if your guests are making their own travel arrangements. 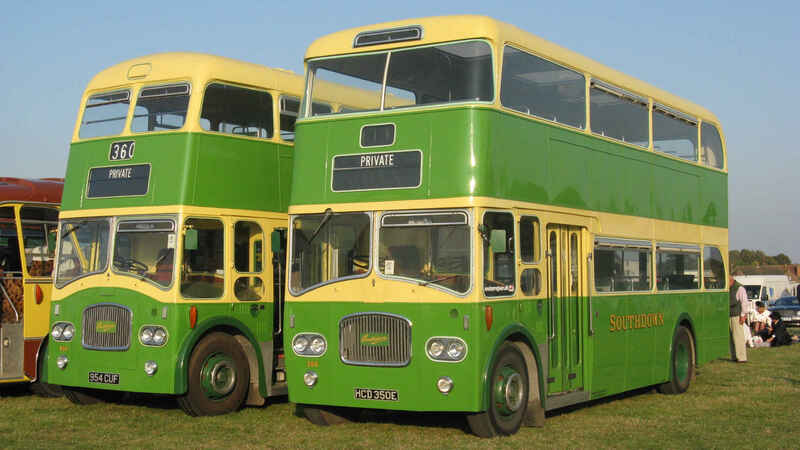 The vehicles are available to hire for single journeys, by the day or for the complete weekend. Peter manages our office and will help every step of the way making the necessary arrangements, from your first enquiry through to being looked after by one of our professional, friendly and helpful drivers on the big day itself. To check availability and pricing please complete this simple enquiry form, or check with us by email or telephone. 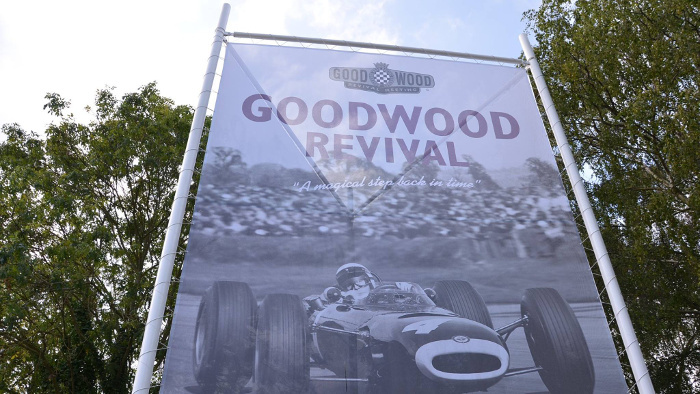 If your enquiry is not about Goodwood Revival, please use our standard form. 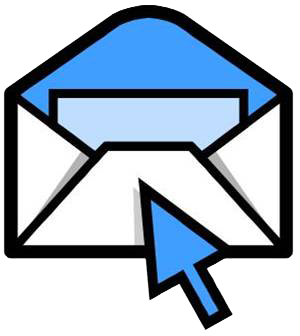 You will only receive a quotation from us if you have requested one by telephone, email or enquiry. 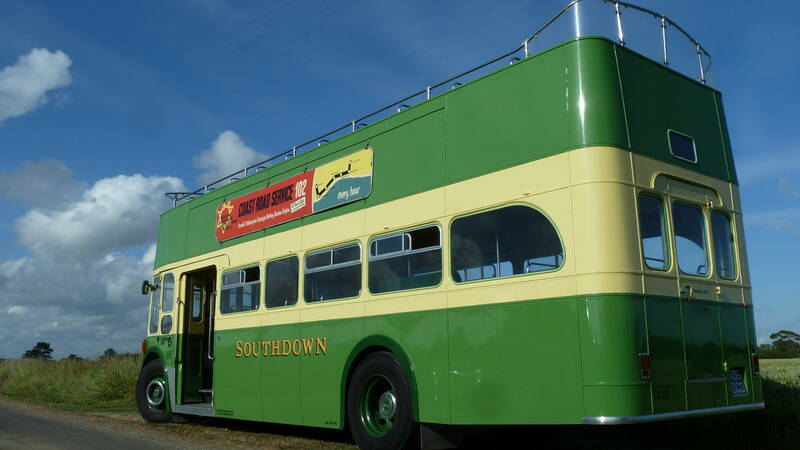 Information supplied by you is used only by Southcoast Motor Services Ltd for the purposes of carrying out its business supplying vintage buses and coaches for hire. We will not divulge such information to third parties without your express permission and do not use your information for marketing purposes.